See PlateSmart Technologies ARES ALPR with Co-'ASTORS' Award Winners in Axis Communications Booth #14051, Milestone Systems Booth #18053 and Verint Systems Booth #26049. You won’t find PlateSmart Technologies on the exhibitor list for ISC West, but they will be on site, demonstrating its award-winning ARES automatic license plate recognition (ALPR) solution with a number of their camera and video management system (VMS) partners, three of which were fellow 2018 ‘ASTORS’ Homeland Security Award Winners. At co-‘ASTORS’ Award Winner, Axis Communications booth #14051, PlateSmart ARES will be demonstrating live, reading actual live license plates from a camera installed near PlateSmart’s headquarters in Oldsmar, Florida. Furthermore, PlateSmart ARES open-architecture vehicle identification platform, which is fully integrated with the Enterprise Video Management Software™ (VMS) and Situational Awareness Platform™ from ‘ASTORS’ Award Winning Verint Systems, which you can see demonstrated in Verint Systems’ Booth #26049. With ARES receiving live video from Verint Enterprise VMS, analyzing it, and generating license plate events and alarms into the Verint Situational Awareness Platform, users can take full advantage of the advanced vehicle identification and data analytics features that PlateSmart offers. This integration also enables Verint to add vehicle recognition and analytics to its Situational Awareness Platform, which combines information from various systems and devices together improve response times and increase situational awareness. PlateSmart’s Vehicle Identification (LPR) likewise integrates seamlessly into fellow ‘ASTORS’ Award Winner Milestone XProtect, which allows fast retrieval of event data for quick video review of triggered events, and can be seen live and on site, in Milestone Systems Booth #18053 in the C2P pod. ALPR – What Is It? ALPR automatically captures all license plates as they come within view of ALPR cameras and sensors, autonomously checking the plates against a hotlist database which can include stolen and wanted vehicles, or vehicles owned or registered to wanted fugitives. In some instances, this data is shared with local, state and federal agencies, creating a robust and efficient policing infrastructure. ALPR is also increasingly being utilized in business analytics and counterterrorism sectors. “Any ALPR camera can show their tool reading license plates from a preconfigured list,” explained Mike Budz, PlateSmart director of sales. Finally, you can find PlateSmart ARES ALPR System in Geutebrück’s booth #24099, IPConfigure’s Booth #6109, Pelco’s Booth #20031, and Uniview’s Booth #13062. “We’re excited to be joining our partners in demonstrating the power and flexibility of PlateSmart’s camera-agnostic ALPR solution,” added Budz. Law enforcement and homeland security personnel, as well as those in the private physical security sector, are tasked with protecting citizens across the United States from criminals and potential terrorist actors which are growing more sophisticated with each passing day. As a result, mass deployment of advanced automatic license plate recognition surveillance technologies with AI-based video analytic capabilities, are helping them to keep up with ongoing threats. The ARES Automatic License Plate Recognition (ALPR) from PlateSmart Technologies offers the groundbreaking capabilities of PlateSmart’s software-only automatic license plate recognition solution, as well as real-time data mining and analytic tools at an unmatched price point. ARES enterprise grade ALPR analytics solution captures vehicle information, such as plate, state, and vehicle make and stores to a database, checks against designated hot-lists for alerts, then provides advanced analytics for vehicle movement tracking, predictive intelligence, and more. ARES is a singularly efficient, cutting-edge, and intelligent solution in the LPR and access control market. ARES is a system of tools and solutions that creates a comprehensive security platform. There is functionally no limit to the number of cameras and/or nodes that an ARES system can handle, as long as the hardware is capable of supporting it. Each system can be scaled to the size required for a specific deployment, making ARES more flexible than its competitors. ARES is a software environment that is camera-agnostic, making the product both cost-effective and widely compatible in the LPR industry. The ability to function without using proprietary cameras and the ability to integrate with other video management systems (VMS) takes the adaptability of ARES allows the company to serve a variety of industries. ARES software doesn’t just read letters and numbers; ARES uses AI to recognize vehicles and gather vehicle “DNA” on them. ARES doesn’t just read license plates, it gathers data on state registration, and vehicle make, in addition to license plate data, all in real time with full color images. 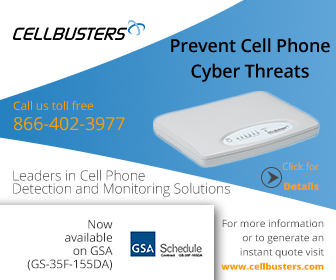 This proactive situational awareness can effectively secure educational and corporate campus environment perimeters. Through ARES Command Center, users can easily manage cameras, servers, and hotlists. Through ARES Viewer, users can monitor live feed and receive notifications. Through PlateSmart Network, local police will be instantly dispatched if a license plate associated with a wanted individual, stolen vehicle or other crime is recognized. And finally, through the company’s ARES Reporting Center, users can easily run reports on traffic, alert stats, crime rates and more. PlateSmart ARES has received numerous awards for excellence and innovation since its launch in 2013. 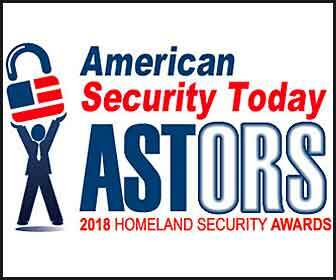 Most recently is earned the 2018 Platinum ‘ASTORS’ Homeland Security Award from American Security Today for ‘Best License Plate Recognition System’. Go to www.platesmart.com/isc-west-2019/ to schedule a meeting with a PlateSmart representative at ISC West, or visit the company website at www.platesmart.com.